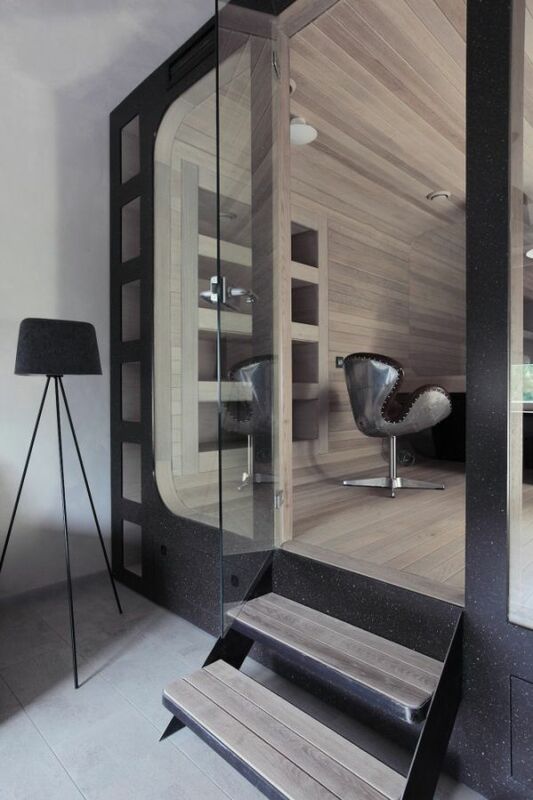 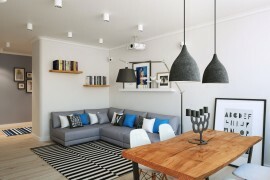 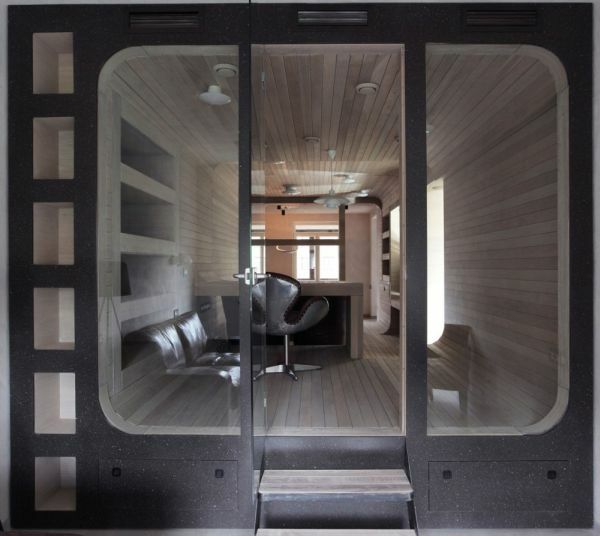 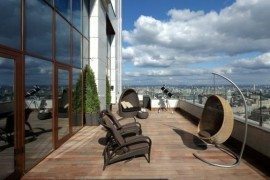 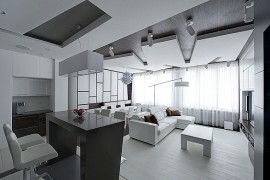 This beautiful contemporary dwelling is, suprisingly, an apartment on the 5th floor in a Moscow residential building. 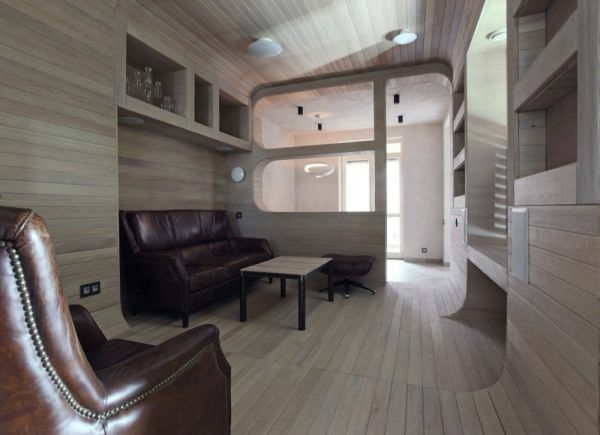 Designed by Peter Kostelov, the 110 sqm Oak Tube home with a large balcony stuns through its room division and its spatial section – the modern graphic symbol of a square with rounded edges. 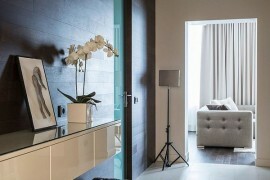 Because of the narrow, difficult spaces, the rooms were designed in an open succession, such as to make the best use of the natural lighting. 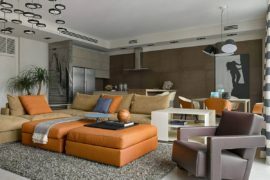 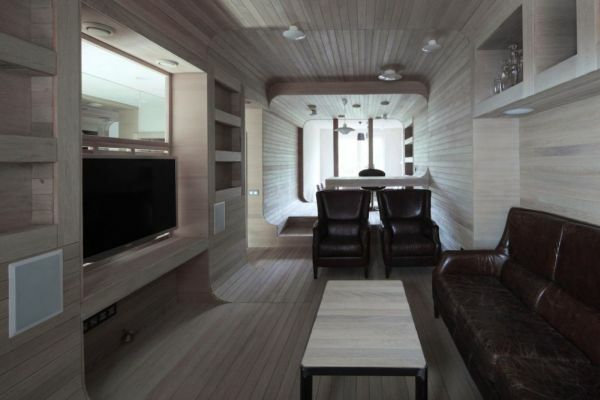 The sleek and refined design makes vast use of a rough finished oak wood in sandy hues. 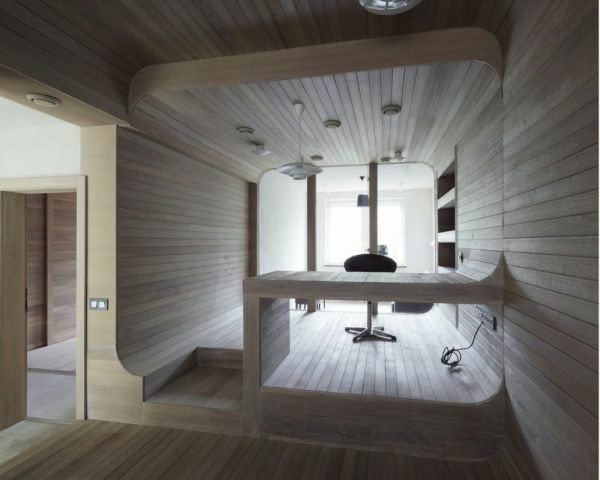 The wood envelopes the rooms, and at first sight it would seem that it is a house actually made from wood. 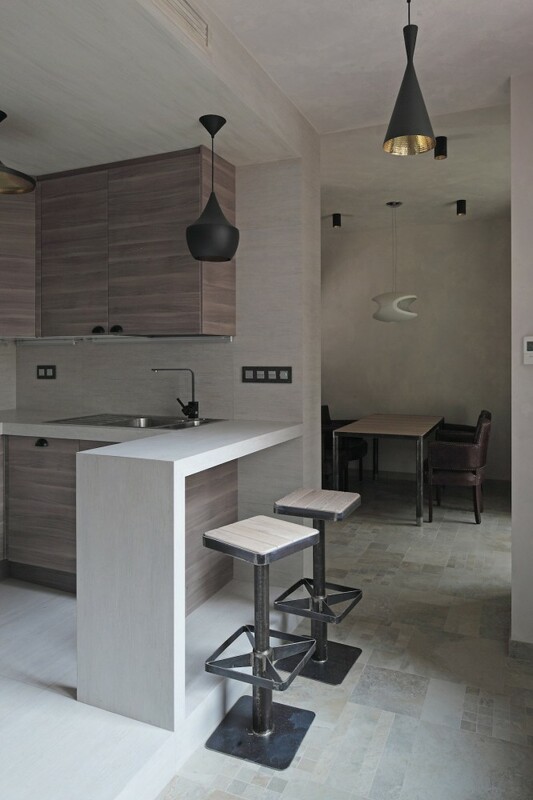 The material is only complemented by leather furniture and the punctuating shapes of fabulous Tom Dixon pendant lamps, with their rough black exterior and golden interior. 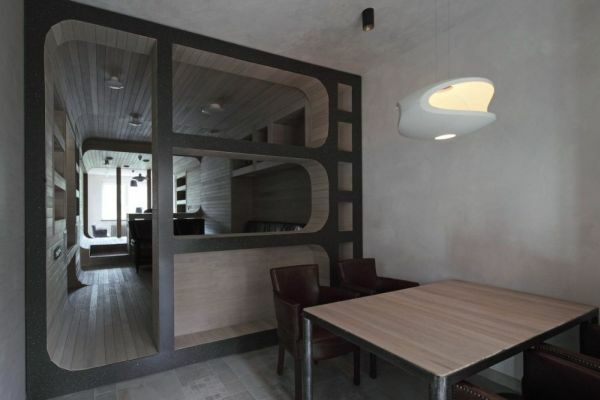 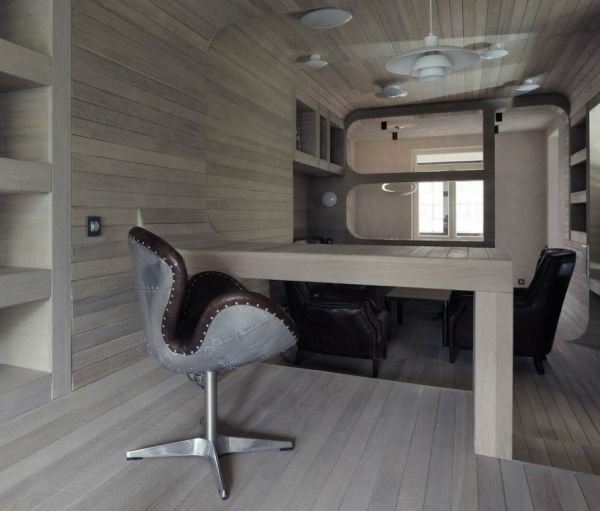 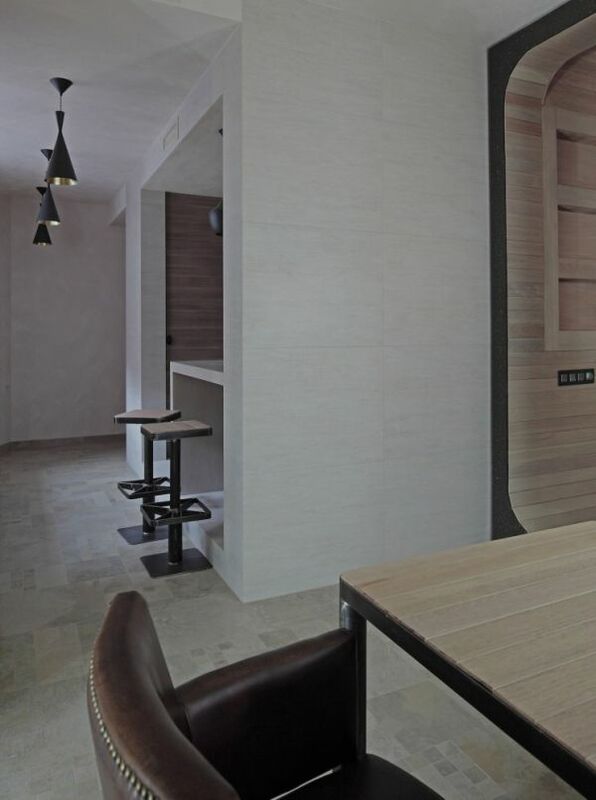 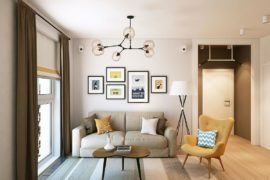 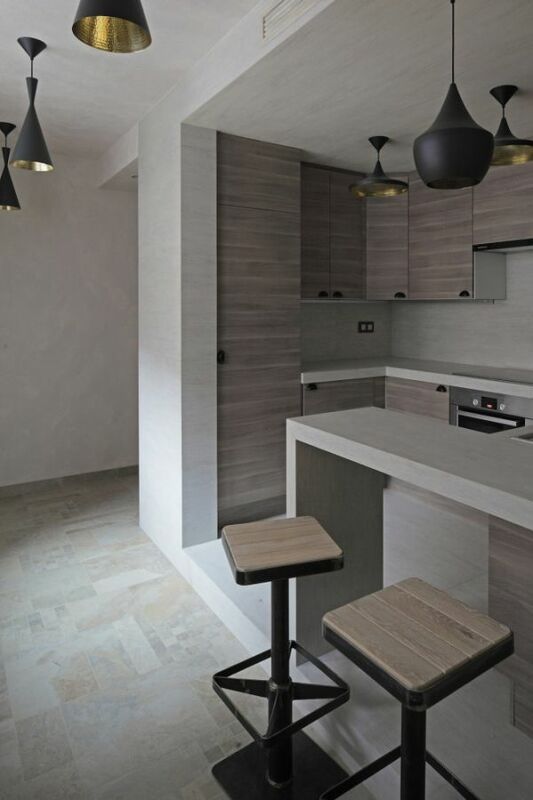 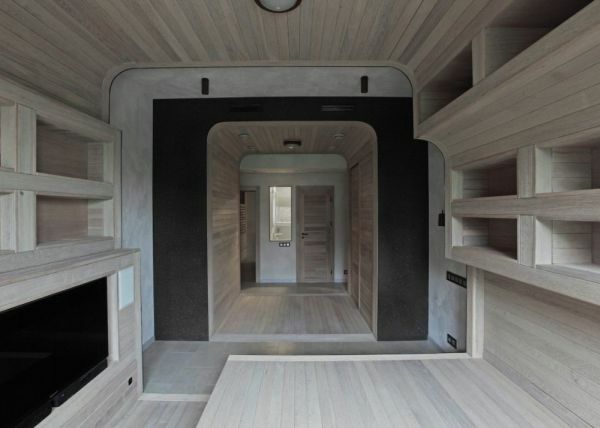 The dominant color, the rough finishes and the space division of a well-determined row of functions makes the design of the Oak Tube apartment rather masculine, in spite of the rounded lines and the delicate grey hue of the material used. 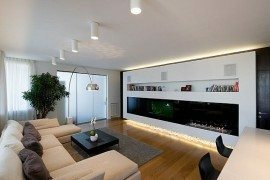 Either way, it remains elegant, minimal and very modern.